June 28th marks the 99th anniversary of the assassination of Franz Ferdinand and the beginning of British brainwashing relating the cause of World War I. 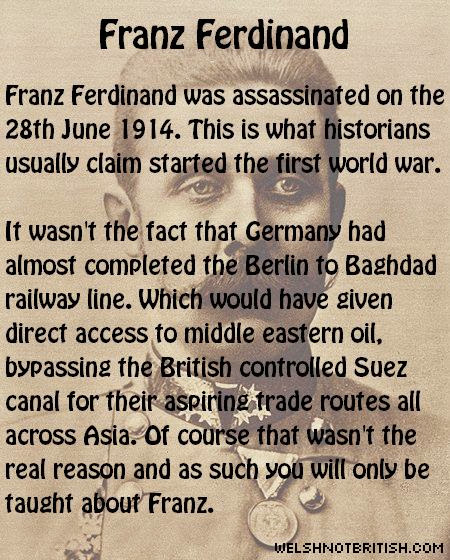 Of course it had nothing to do with the fact that the Berlin - Baghdad railway line was nearing completion. Of course not. It had nothing to do with the fact this would bypass the British controlled Suez Canal and open up new trade routes to Asia and beyond that were not on British terms. Especially in an era where oil was quickly becoming the fuel of choice for the various naval forces of Europe. Either the most popular guy of the time or a century long scape goat? They've finally done it. 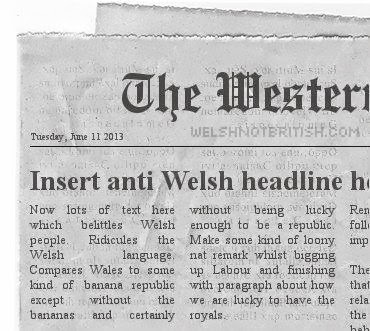 Many people doubted their ability to pull it off but I want everyone connected with the English regionalist party known coloquially as 'Welsh Labour' that I never doubted you for a moment. 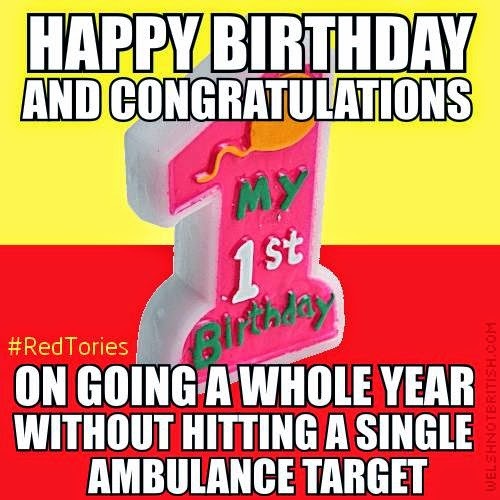 When I first congratulated Labour after nine months I bet there were people muttering under their breath that they would never carry it on. But then 10 months came and went and people thought they were just getting lucky. I didn't want to make a fuss after 11 months as even I was getting nervous and I didn't want to be blamed for being the one who junxed it and spoilt their run. But the wait is finally over. After showing the imbalance of the UK population in this post I wanted to look at how MPs are balanced. I have looked at this before using pie charts but my new toy is pixel (px) art. 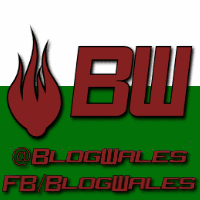 The UK has 650 MPs representing the four constituent countries of Wales, England, Scotland and N Ireland. I will use a 255 x 255 px square. This gives us 65,025 px which works out as a scale of 1 MP = 100 px. For consistancy I'll try and make the shapes as similar to how I did them for the population square so that they can be easily compared. I don't whether it's just lazy journalism, ignorance or deliberate propaganda but the media constantly uses the words Britain, UK and 'this country' interchangably. This is not only factually incorrect but when it is said enough times people start to think that it's true. It's used in everyday conversation which makes things even more confusing when the media handles things that are not devolved. We have to acknowledge that most people are politically ignorant due to their only source of information being lazy, ignorant or deliberately bad journalism. 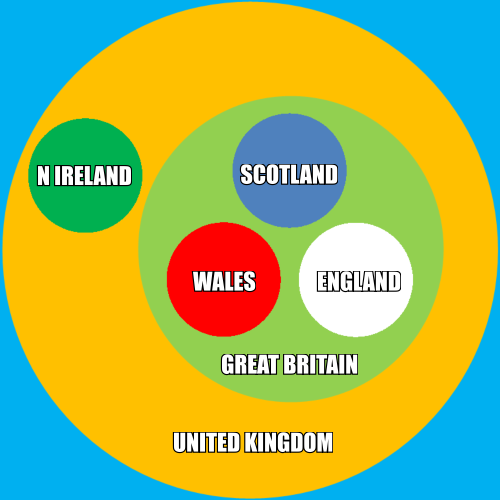 So I created this little graphic to easily show the difference between the UK, Britain and "this country". Note that "this country" should only be used when referring to the country you are actually in. So whichever one of these countries you are in. Just imagine the words "this country" under it's name. I was looking at a map one day and something struck me as being odd. 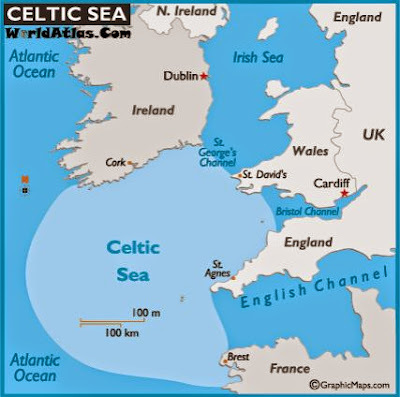 In order for you to play along at home I'll post a similar map for you to see if you can spot the oddity. This is not the offending map, this is just a tribute. 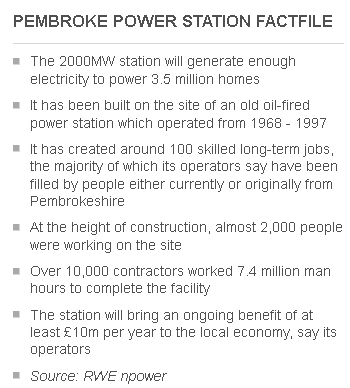 I remember asking myself that very question the first time I read about the opening of the new gas fuelled power station in Pembroke. As is customary the BBC just reports the facts without any question or balance. See if you can spot the obvious piece of info that jumped right out at me. Regular readers will know that from time to time I like to submit a petition or two to the Senedd in the hope of making a small change to the way this country works. My theory is that if enough of these small changes are made then gradually large improvements will be made. I was sat in traffic one day at the new set of traffic lights built at the new junction to turn into the new supermarket so that I could buy some petrol at the new petrol station. I looked across to see the sign for the new road. It was a typically bland name in English only that we've come to expect from such developments. A typical street sign in England's West Bank.